My name is Amanda Williams and I live in the UK and have a little boy called Luca, he is 8 years of age and has Aspergers…been diagnosed about a year now. We live a normal life that can be expected living with an Aspergers child. Life can be very hard living with this condition but it can also be very rewarding and although Luca is hard work we are all very proud of him…..
Luca is a typical 8 year old boy , into his XBOX…computer, and all things associated with electronics.We have had some very hard times with him, he has also just been diagnosed with ADHD so you can well imagine what live is like in the Williams household. Take for example a recent afternoon…Luca was so full of beans when he came out of school..so excited that he stuck at it in class to do his joined up writing and did it! Great Luca I said, so proud of you, which resulted in even bigger smiles. His little sister who is 5 started to get jealous and started to cry, louder , louder and louder. Luca then gets very agitated so pushes her and she falls, then a lady who was walking past us got her mobile out and put her ear to the phone. Luca immediately thinks she is phoning the police and screams at this poor woman …Please please do not call the police, I did not mean to do it…she looks at Luca in shock , Luca then goes on to scream at this poor woman who we do not know…stop looking at me.. I offer an apologetic look and hurry Luca in the house who then goes on to kiss us all and tell us he loves us all and how nice its been knowing us…eh???? He is convinced the police are coming for him. Life with Luca can be oh so funny too and my husband and I have to laugh behind our hands as he thinks we are laughing at him , not with him…. For instance..Cmon Luca is something bothering you ? Get it off your chest…He looks down and then up at me with big innocent eyes…but Mom there is nothing on my chest..
Luca stop winding your sister up, mom she’s a human not a robot she does not have a key silly!! Also we love his honesty..we are going on holiday soon, and I’m quite a large lady around the tummy area and all of my swimsuits I have tried on have been vetted by Luca as I know he will tell me the truth about how I look….but he is not too brutal e.g. …nah mom stripes and spots just don’t do it for you!! What were the Roman soldiers names he kept asking. Luca has also made us very, very proud. He did a book review for the book “All cats have Aspergers” and his review was put into a magazine which goes to all of the schools, and the head of his school presented him with a copy in front of the school and everyone clapped him . He also looks after a child in class who is non verbal but does not have a diagnosis yet, because he feels it’s his duty. Living with this condition has brought adults shunning us, banging on our door telling us Luca is a bully and all sorts…I could go on forever, but I would not change my little boy for anything…. “Our son Grant was diagnosed with Asperger’s as a young boy. ASD, who wants people to respect his space. what most people only think and getting in people’s personal space. He is extremely happy and has such a zest for life and so much passion. of time, so he developed a kind of obsession with death. Needless to say, they would wake up in shock. We did have an experience in a waiting room, which was different though. said, “If you struggle, I will help you!”. Grant was probably eight at that time and now he is 15. His compassion and empathy for people who struggle. He doesn’t understand Asperger’s . . . not one little bit. He never cares to find out, or even ask about it. It could be he just doesn’t believe in the label. Maybe he thinks young Bob is more able. But I think perhaps the most likeliest reason of all . . .
Is it’s easier not to bother . . . not to bother at all. Whatever the reason . . . whether interested or not. He descends each Christmas and talks utter rot . . . When poor Bob (the Aspie) won’t wear his Christmas hat. When Bob requests the bright lights to be dim. Mom tries to explain Bob’s sense overload. She may as well talk in a strange foreign code. When Bob sat stuffing plain chips down in a rush. Once again patient mom she tried to explain. But BLANK went his face and BLANK went his brain. Enough was enough everyone has a limit. And Bob’s poor patient mom had finally hit it. Off slouched Uncle Grinch out into the night. Gob smacked and confused – yet still sure he was right! He couldn’t understand why they thought he was wrong. As for Bob and family . . . they were just glad he’d gone. They went back to their Christmas with no hats on their head. Dim lights all around and plain food to be fed. Now Uncle Grinch had departed . . . the ignorant chappy! So to all you parents of Aspies who suffer this fate . . . When you hear Uncle Grinch open the garden gate. Breathe deep . . . smile big and just rise above . . .
Uncle Grinch’s old nonsense, and fly like a dove. Or you could take a leaf from Johnny’s mom’s book. If Uncle Grinch won’t listen give a withering look . . .
Then send him off home with his stuff and his rot. And get on with your Christmas and enjoy it a lot. Light hearted I hope, but seriously . . .
generally upset you this Christmas. 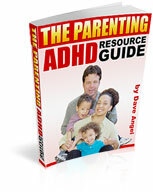 interest) in understanding your child’s Asperger’s. Politely explain this and don’t invite them.
. . . It may well. But worth it for the sake of you and your immediate family? and if that means Uncle Grinch gets the elbow.